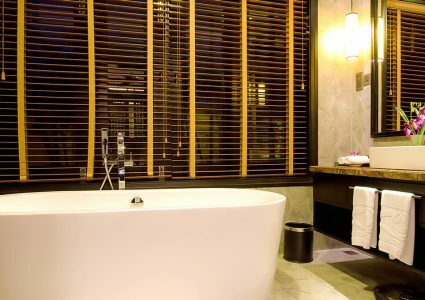 The upscale and luxurious 186 rooms were innovatively designed to create a unique and exceptional experience, reflecting the perfect fusion of traditional architecture and modern facilities. Superior Garden View offer second floor views over expansive acreage of the fish fields of Cam Thanh Village. 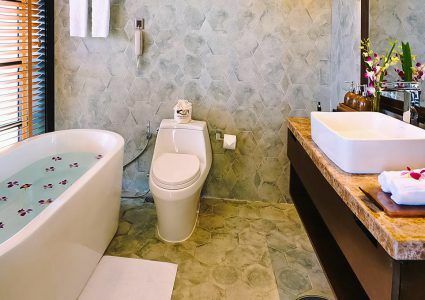 All rooms were designed in a Vietnamese fashion with ensuites and modern facilities. Maximum persons per room is two people. Superior Garden View with balcony offer second floor views. 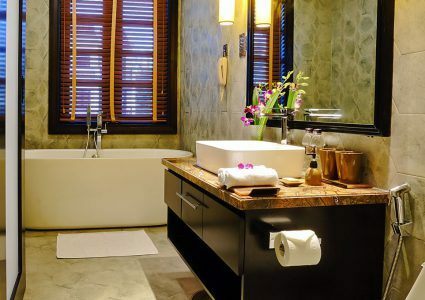 All rooms were designed in a Vietnamese fashion with ensuites and modern facilities. Maximum persons per room is two people. The Garden View Bungalow feature one bedroom rooms in blocks of eight. 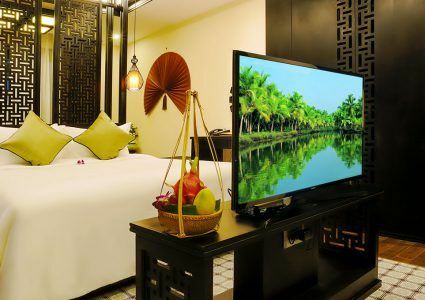 All rooms were designed in a Vietnamese fashion with modern facilities offering comfortability and privacy. Maximum persons per room is two people. 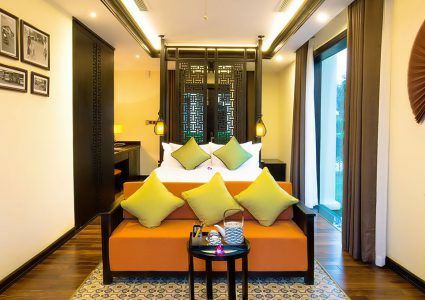 The Garden View Bungalow feature one bedroom rooms in blocks of eight having a private balcony overlooking the resort walkways or the Cam Thanh Village fish fields. 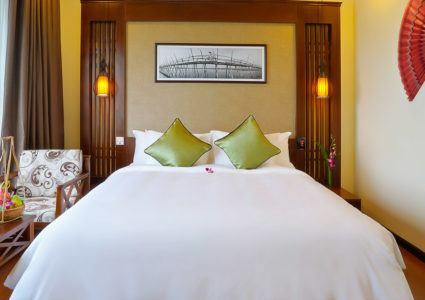 All rooms were designed in a Vietnamese fashion with modern facilities offering comfortability and privacy. Maximum persons per room is two people. 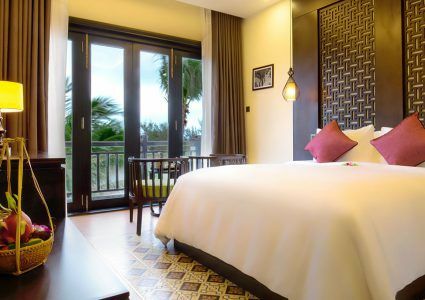 Located in center of the Resort, the Lagoon View Bungalow feature one bedroom rooms in blocks of four. 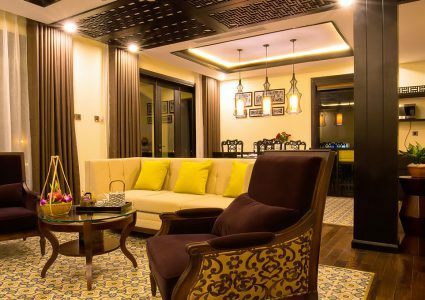 Ideal for families and friends wishing to stay in close proximity, yet all with private facilities. 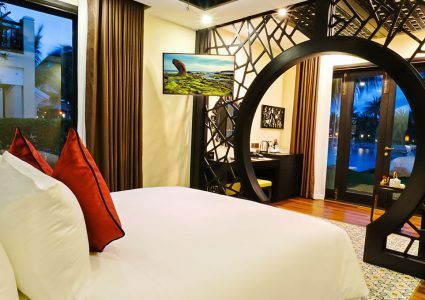 A private balcony, opens to views over the lagoon which is fed by the De Vong River. Maximum persons per room is two people. 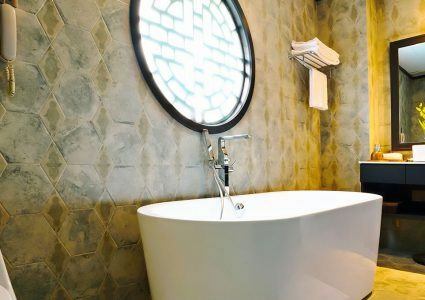 Adjacent to the riverside, this Villa features an indoor plunge pool, kitchenette and dining area. 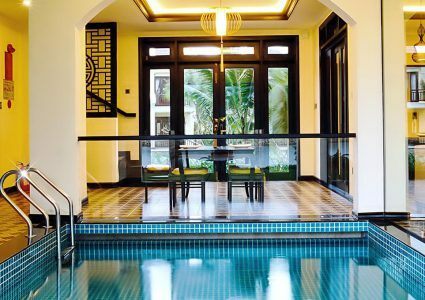 Each Villa was designed with top-of-the-line fittings and a distinct Vietnamese feel to it. 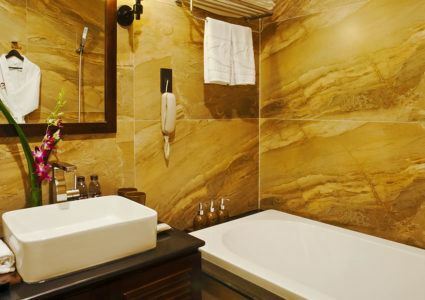 Each bedroom has its own ensuite facilites ensuring privacy for all staying here. A short stroll from Reception and the main eating and dining outlet. Enjoy a meander around the Lagoon and stop in at any of the three covered pergolas perched out on the lagoon itself. 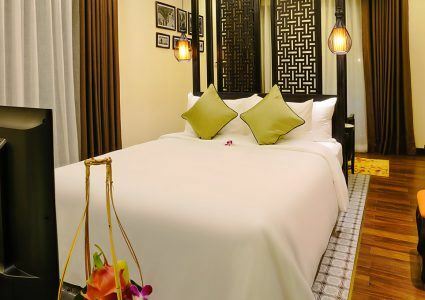 Minimum is one person and a maximum of six persons sharing queen beds in three bedrooms. 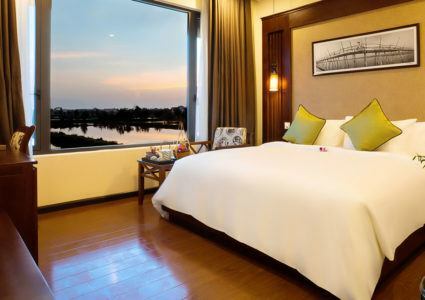 Adjacent to the riverside, this Villa offers wonderful views along the De Vong River. The four bedrooms offer private ensuites, space and privacy. With most having private balconies. This luxurious Villa has an outdoor plunge pool, pergola, kitchenette, lounge and dining area. 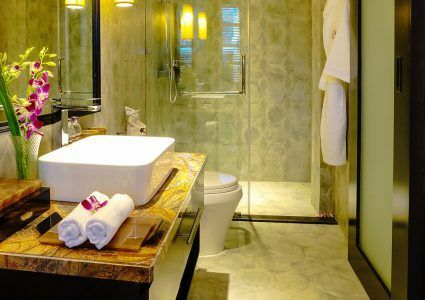 The two storey concept has a distinctive Vietnamese design and high-end facilities ensuring you an exceptionally memorable stay. Minimum one person, maximum is eight persons sharing in queen size beds in four bedrooms.